Westfield UTC knows how to make shopping interesting again - by combining spirits, food and music, of course. 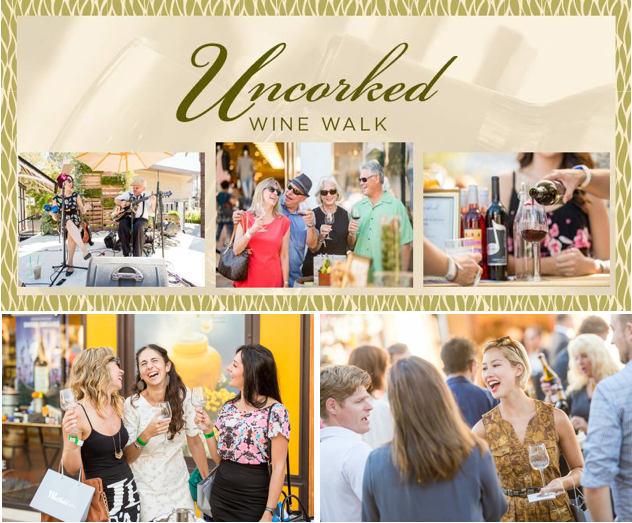 The Uncorked Wine Walk & Concert returns for its 3rd year on Saturday, May 2, from 4-7pm. This self-guided tasting tour pairs award-winning Temecula Valley wineries with the center's most popular gourmet dining options, complimented by live music. We're giving away 2 VIP tickets to this exciting, outdoor event! For the third consecutive year, Uncorked will bring to Westfield UTC Temecula Valley’s finest vintages. Enjoy a self-guided wine walk to four wine gardens, each featuring three award-winning wineries, including Falkner Winery, Danza Del Sol Winery, Callaway Winery, Maurice Car’rie Winery, Robert Renzoni Vineyards and Lorimar Winery, paired with unlimited chef-crafted bites from the icon open-air center’s gourmet dining options - PIRCH, Seasons 52, Eureka Discover American Craft and Tender Greens, all complemented by live local musicians. 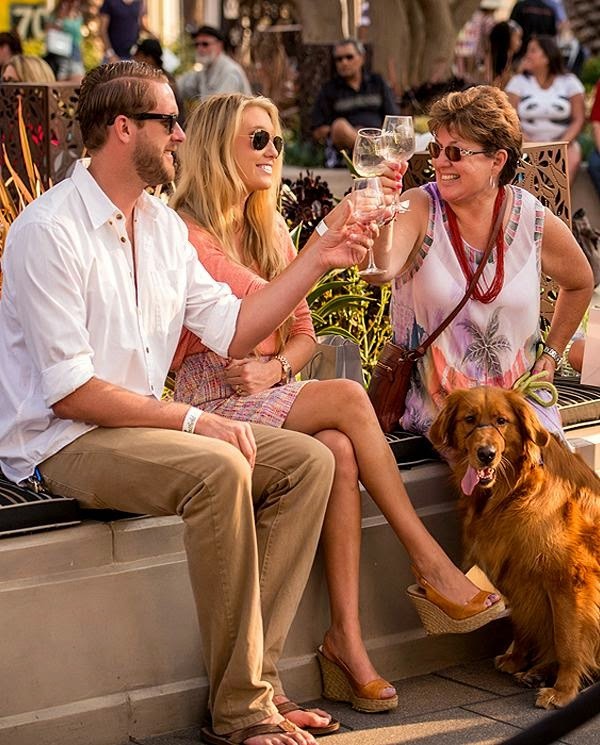 General admission tickets to Uncorked are $20. The VIP experience costs $30 per person and includes entry into the exclusive fountain-side lounge offering signature cocktails and tray passed bites. Purchase tickets online. Ticket sale proceeds will benefit non-profits Temecula Valley Winegrower’s Association and Bright Pink. Westfield UTC is located at 4545 La Jolla Village Dr. in La Jolla. For more information, visit facebook.com/westfieldutc/events.